Antagonists are the main force that shapes the protagonist’s character arc. Sometimes the antagonist isn’t as important as the protagonist; in some stories, the antagonist is a threat so potent that he/she shapes the trajectory and tone of the story. The antagonist isn’t necessarily a bad guy or villain, though he/she can be. Is Darth Vader an Antagonist? or a Villain? or Both? A villain is a subset within the antagonist role, identified by his values, morals, and methods, along with direct antipathy toward the protagonist. The villain is the most potent threat to the protagonist and perhaps even to the antagonist. A villain’s actions will always have huge ramifications and create hardships and danger. A villain in the story means it has a darker tone and aura. The antagonist doesn’t have to be a villain in the story. 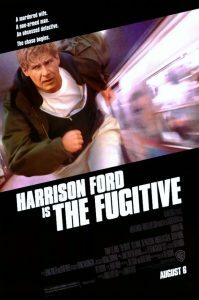 Editor’s Example: a great example of the statement above are the characters in The Fugitive storyline by author David Twohy starring Harrison Ford and Tommy Lee Jones. Richard Kimble, the wrongly accused doctor who was charged with murdering his wife, is the protagonist. He escapes while being transported to prison to receive the death penalty. Kimble believes that he is the only person who can prove his innocence of the crime. The protagonist’s antagonist is the unrelenting US Marshall Samual Gerard who is intent on doing his job of tracking down an escape who was convicted for murder. He is relentless in his pursuit of Kimble, but he is not a villain, but he sure makes Kimble’s life a nightmare. The villain is the true murderer of Kimble’s wife – the elusive one-armed man named Sykes. U.S. Marshall Gerard is not a villain. he is the one that is doing his job and chasing down the escape convicted murderer, Kimble, making Kimble a wanted outlaw fugitive on the run. The villain, Sykes, is always lurking trying to kill Kimble before he is exposed as the murderer of Kimble’s wife (and probably to fulfill his contract). The clock is ticking. The antagonist is the person who forces your protagonist to change in the way he or she most needs to change. Antagonists are the main force that shapes the protagonist’s character arc. They teach the protagonists the lessons needed to grow and they accomplish this via conflict and opposition. The antagonist also exists to reveal as much about the protagonist as possible, showcasing the protagonist’s primary traits in events that force him to act in specific ways. So while revealing the protagonist’s flaws and weaknesses, the antics of the antagonist also reveal his strengths and over the course of story events serves as the catalyst that reshapes the protagonist’s self-concept. The main antagonists in the Harry Potter series–Malfoy and Snape—and Voldemort is a villain and an antagonist—are great examples while Voldemort’s death-eaters are villains. 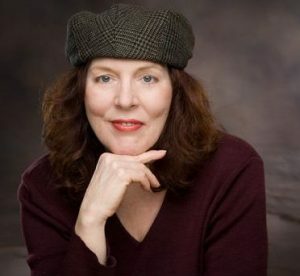 Jessica Page Morrell is a top-tier developmental editor and a contributor to Writer’s Digest magazine, and she teaches Master Writing Craft Classes at the Chanticleer Authors Conference that is held annually along with teaching at Chanticleer writing workshops. Jessica will teach Master Writing Classes and advanced writing craft sessions at CAC19. Click here to learn more. Jessica understands both sides of the editorial desk. She is known for explaining the hows and whys of what makes for excellent writing and for sharing very clear examples that examines the technical aspects of writing that emphases layering and subtext. Her books on writing craft are considered “a must have” for any serious writer’s toolkit. For links for her writing craft books, please click on here.